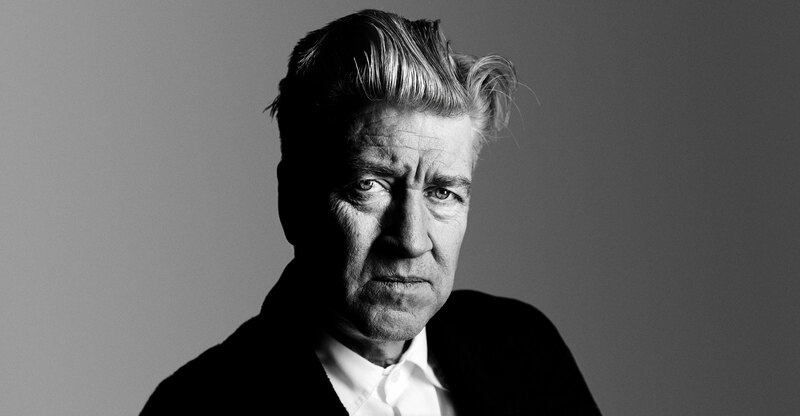 Mr. Lynch, did you learn transcendental meditation because you had an anger problem? No. I noticed I did have an anger. Many people have anger and I was one of them. People direct anger at certain people they can get away with - I would take it out on my first wife. What happened was, I started meditating and two weeks later she came to me and said, “What’s going on?” I said, “What do you mean?” And she said, “Where is that anger?” She didn’t see it anymore. A lot of times when people start meditating they don’t see the change as soon as the others around them. The others around them notice the change. Why did you start practicing meditation then? I picked it up in 1973. It was the idea that the human being can gain enlightenment. It was driving me crazy, because you hear we only use five or ten percent of our brains. What is the other part for? How do you get more and more and what is the most you can get? A lot of people said meditation is like jogging or like lying in the sun on the beach. This shows a huge misunderstanding about what meditation is. Meditation is a way to go within, all the way within to the deepest level of life, the transcendence, the absolute, the totality and reality, and experience that. The human being is built for it. Do you think you are a better artist because your movies are driven by a higher consciousness? I don’t know. You can catch ideas at a deeper level when you start meditating. Intuition grows, and intuition is the number one tool for an artist – feeling and thinking combined. When you are working on a painting, it’s like you know, and you enjoy the doing so much. It’s the same way with films. The enjoyment of working increases, the enjoyment of everything increases. The ideas are flowing, and the feeling that you can get it to feel correct. You know what that is. It’s a knowingness that grows. It’s really beautiful. Do you still get upset or depressed from time to time? You can still get a wave of depression or hate. And it’s all relative. The degree of it is less and less. So suffering begins to go away. Mankind was not made to suffer. Bliss is our nature. We are supposed to be happy. It is entirely possible to be packed with happiness. Real, deep bliss, wide awake, happy in the doing of things. And it’s the doing of things, the enjoyment of living, that is so much more intense when you have this bliss growing. Can you be more specific how that affects your daily life? The events of the life stay the same but how you go through them certainly gets better. On my film Dune, that experience could have finished me. It was so horrible. I identify so much with my films – and I knew I sold out – and meditation kept me from jumping off the cliff. There is a saying: The world is as you are. You can wear dark-green dirty glasses, and that’s the world for you. Or you start diving within and experience the unbounded ocean of pure bliss consciousness, creativity, intelligence, all these beneficial things, and you start wearing rose-colored glasses. And that’s the way the world looks for you. And it gets better. I would say your films seem to look at the world through the dark glasses. Why is that? If you saw a film and the beginning of the film was peaceful, the middle was peaceful, and the end was peaceful – what kind of story is this? You need contrast and conflict in order to tell a story. Stories need to have dark and light, turmoil, all those things. But that does not mean the filmmaker has to suffer in order to show the suffering. Stories should have the suffering, not the people. A tribute to David Lynch's cult films, including scenes from Twin Peaks, Blue Velvet, The Elephant Man, Eraserhead, Inland Empire. How does an idea for one of your films come together? I always say ideas drive the boat. Ideas are a huge, huge blessing. That’s the thing you try to catch – an idea that you fall in love with. Every time that I have made a film that’s not from a book or somebody else’s screenplay, it happens the same way. The whole thing doesn’t come at once, but fragments of things come and these fragments form themselves into a script. You write the idea down and save it until the next idea comes, and little by little the majority of ideas find themselves in a script – which is organized ideas. Then you go and shoot that script and edit it and you mix sounds and music. It’s a process. An idea can give a story that is more abstract and not so straight-ahead, and sometimes it gives you a story that is more straight-ahead. I like all different kinds of cinema. There are no rules. Some abstract things don’t move me at all and some move me like crazy. Some straight-ahead movies don’t do anything for me, whereas others really light my fire. It’s cinema, it’s billions of elements. Cinema, they say, combines seven arts. It’s a very complete medium, so it shouldn’t stop you from going other places – if the ideas come along. Cinema is a mighty special, beautiful medium. Are there movies that you oriented yourself on? Everyone should find their own voice. It’s not about copying. But Godard, Fellini and Bergman were my heroes. Sunset Boulevard, Rear Window, 8 ½, Jacques Tati’s My Uncle or Monsieur Hulot's Holiday, Rear Window, all of Kubrick’s movies, all of Fellini’s movies, probably all of Bergman’s movies – there have been so many great films that were an inspiration. Have those films subconsciously influenced your work? One could say the concept of voyeurism in Blue Velvet was influenced by Rear Window, for instance. I don’t know if that is true. There have been 110 or more years of cinema, and it’s impossible for any one of us to make a film that can’t be compared to something that has come before. To me Blue Velvet is Blue Velvet and Rear Window is Rear Window. You could say that Sunset Boulevard or Rear Window has conjured an idea for me, but even though I love them or am inspired by them, life is a 24/7 movie. Ideas come out of that all the time. It’s hard to say it’s cinema that conjures ideas. It’s altogether. There are billions of ideas swimming around, you just have to catch them.